What is the LibX Toolbar? The LibX toolbar is a free browser add-on for Google Chrome to give you easier access to Fogler Library electronic resources―including journals, indexes, and databases―when you are not on campus. LibX 2.0 is no longer compatible with Firefox, Internet Explorer, or Microsoft Edge browsers. The current version is for use with the Google Chrome browser on Windows, Linux, and Macintosh OS. In lieu of using the LibX Toolbar—unavailable for mobile browsers—students, faculty, and staff may wish to utilize the Single Sign-on feature of myUMainePortal to access paid subscription resources. 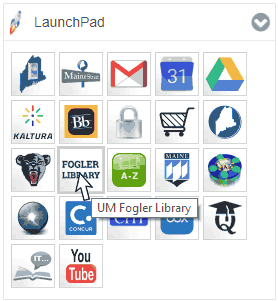 Simply login, and navigate to Library web resources by clicking on the Fogler Library icon on the myCampus LaunchPad. LibX 2.0 is now available in the Google Chrome Store. To install, click the blue, Add to Chrome button. In the Add “LibX for Google Chrome (TM)”? dialog box, click the “Add extension” button. Type ‘University of Maine’ in the “Search for a LibX edition” text box. Click on University of Maine Edition (id: 26C70366). 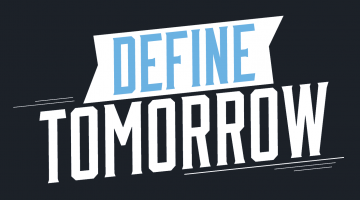 When installation is complete, the University of Maine logo will appear in the browser bar. The LibX Toolbar allows you to access paid resources by prompting you through the EZproxy without having to navigate away from the article of interest. In order for this to work, however, Fogler must hold a paid subscription to the resource vendor. Examples of such vendors include Web of Science, SciFinder, and JSTOR. 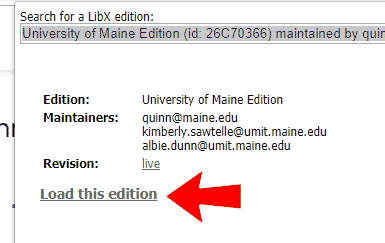 Click the UMaine crest icon on the browser toolbar to launch LibX. Step 3: You will be given the option to login through the EZproxy using your maine.edu credentials or using your URSUS Library Login. The URSUS login requires you to enter your last name and the barcode number located on the back of your MaineCard. Once this information is entered correctly, you will be redirected to an EZproxy authenticated pages from which you may download the desired full-text resource. To activate the “Magic Search” option, click on the UMaine crest logo that appears on your browser toolbar and select Preferences. Click on the Context Menu and select Google Scholar > Enable Magic Search in context menu. LibX places cues in web pages you visit if Fogler Library has resources related to that page. Whenever you see the cue, click on the link to look at what the Library has to offer. Book pages at Amazon or Barnes & Noble will contain cues that link to the book’s entry in URSUS. Cues are displayed at Google, Yahoo! Search, the NY Times Book Review, and other pages. A book title can have different ISBNs for the paperback, the hardcover, even for different editions. LibX supports OCLC’s xISBN service; you can find a book, given an ISBN, even if the library holds this book under a different ISBN. By using this extension you may send the URL of pages you are currently visiting to your library’s catalog server. Such information is sent only if you are actively using the extension; it is never sent automatically. If you wish to avoid this you must turn off the referrer URL by setting network.http.sendRefererHeader to 0 in your preferences. In addition, you may be sending information such as ISBN numbers to OCLC. Use LibX -> Preferences -> AJAX Options to turn this services off if desired.